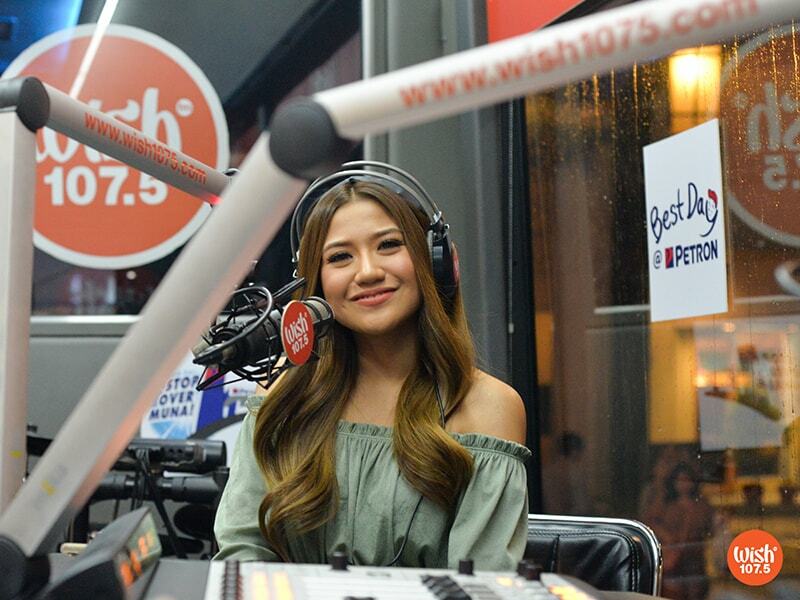 It was around October in 2016 when Filipina singer Carol Banawa chanced upon Morissette Amon’s Wishclusive performance of Little Mix’s “Secret Love Song”. Lauding the 21-year-old belter, she encouraged the netizens of Twitterverse to “keep an eye out” because “this young lady will be big”. In just a span of a year after she sent that tweet, things have somehow worked out to turn this pronouncement into fulfillment. Morissette welcomed 2017 on a high note with her big win during the 2nd Wish 107.5 Music Awards. Her taking home of eight awards, including two Bronze Wishclusive Elite Circle trophies, were a fitting prelude to the successes she would reap later in the year. The months that followed witnessed how her name continued to rise up not just in the local music scene. Last May, she was introduced as one of the co-hosts of Grammy award-winning artist Michael Bolton in the Asia-wide talent search, “Bolt of Talent”. When the The Voice alumna returned to the Wish Bus last October 16, she recalled that during the competition, she met a Malaysian national who recognized her via Wish’s YouTube Channel. Earning more fans from the region, she recently represented the Philippines in this year’s Asian Song Festival and sang an equally exceptional rendition of the Little Mix smash. The event, which also saw her impress the crowd with a medley of “Best of My Love” and “Emotion”, was held last September in Busan, South Korea. A video of Morissette’s stint in the said festival made the rounds online and topped the local YouTube trends list. But her streak of viral performances doesn’t end with this. The newest addition to this list is her flawless rendition of Andra Day’s soaring anthem, “Rise Up,” which she staged live on the Wish Bus during her latest Roadshow gig. 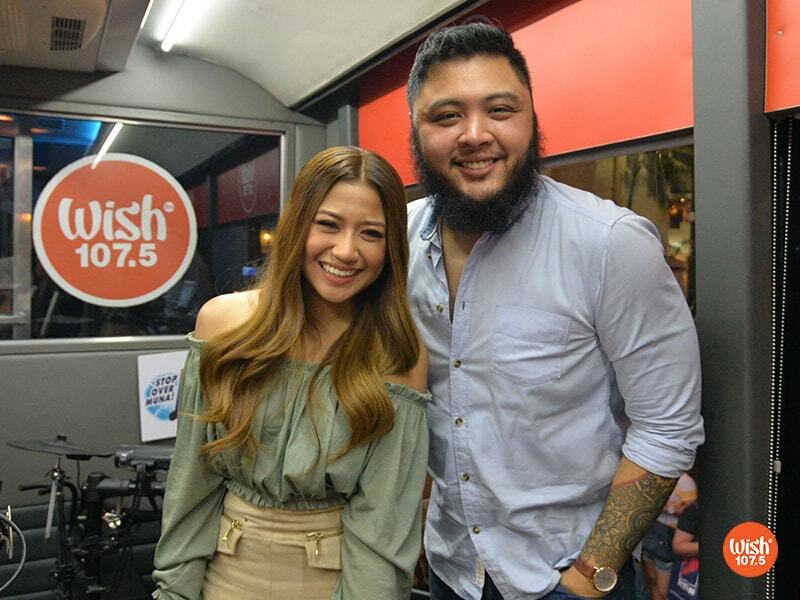 Morissette returns to the Wish 107.5 Bus and performs “Rise Up”, “Mahal Naman Kita”, and “Pangarap Ko Ang Ibigin Ka”. “I really like the song. It’s very inspirational and it speaks up for the people who are choosing to rise above their problems. I hope [my version] also touches the hearts of those who are going through the same situation”. The video entered the Top 50 Viral Videos of YouTube Philippines and peaked at the No. 12 spot. It also garnered over one million views in less than a week since its premiere. These feats do not come as a surprise as the songstress has already proven she has the makings of a certified trending diva. Her widely-recognized “Secret Love Song” cover on Wish was included in the 2016 YouTube Review’s Top 10 Trending Music Videos. 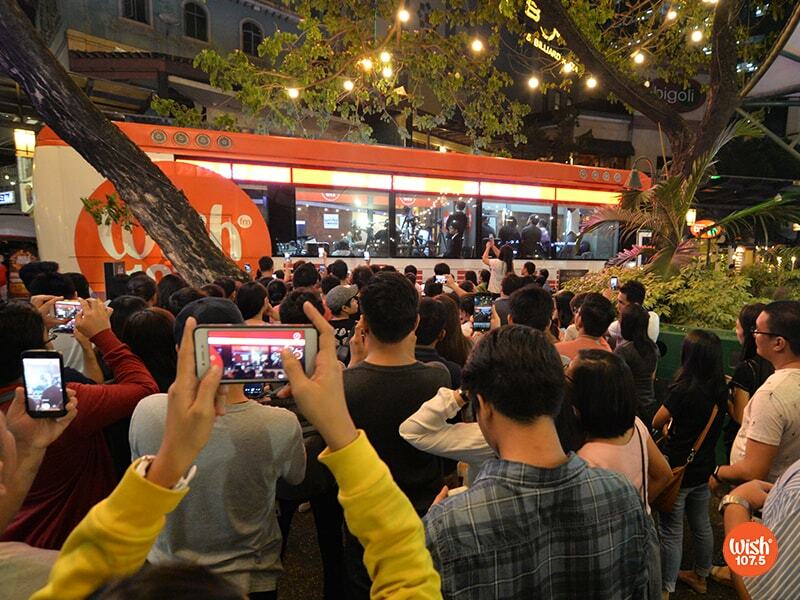 Avid fans of Morissette flock to Eastwood City to see her perform live on the Wish Bus. The said Wish award-winning rendition also holds the record of being the most-viewed video on the FM station’s YouTube page. As of writing, it has already racked up a whopping 51.4 million hits. As early as now, Morissette is already poised to make 2018 a yet another momentous year for her. The success of her “Secret Love Song” cover isn’t faltering yet because for this phenomenal performance, she is set to receive a Gold Wishclusive Elite Circle trophy in the 3rd Wish Music Awards scheduled in January next year. “We’ve been keeping this a secret but now I’m finally allowed to say this – on February 20 [next year], I will be having my very, very first solo concert at the Araneta Coliseum, brought to you by Wish 107.5. It’s finally happening, and I’m very excited. I hope to see you all there”. Prior to this much-awaited show, she will be performing with Bolton in his Asian Dream Tour on November 3 at the Marriott Grand Ballroom. She will also be in New York this coming December for a co-headlining concert with fellow Birit Queen, Angeline Quinto, and Philippines’ Prince of Pop Erik Santos. im a super fan of morissette and because of wish i got a chance to know her well!thank you wish for supporting morissette and to boost her career international…if her mother network couldnt make her major solo concert in a big dome here comes wish supporting her and making her dreams come true!God bless more!